When you next re-fill or top up your classic car with anti-freeze, TAKE CARE. 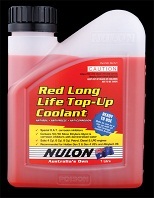 Most stores and garages now sell red anti –freeze, which lasts longer. However, it also can attack seals, gaskets and hoses used in classic and historic vehicles. So, don’t ’put your car at risk. Avoid the red stuff at all costs and stick to the more traditional blue or green varieties. With so many delightful seaside towns in the UK, many classic car-owning motorists prefer to stay here rather than travel abroad -and who can blame them. But, if you do decide to venture overseas – and take your classic car with you – remember there are certain rules which apply in other countries which are not applicable here. 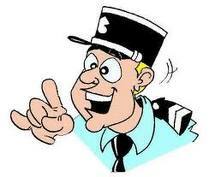 Below is a quick guide how to keep on the correct side of the law when going across the Channel. The French are very strict when it comes to motoring and, believe it or not, drivers must have at least one unused breathalyser displaying the French ‘NF’ certification mark, in their car. France has also banned speed camera warning devices, and, after doing so, has installed 400 new fixed speed cameras. They have also taken down all the signs alerting motorists to them –so watch it. When in France take very good care indeed, especially when you fill up with fuel. French garages sell the dreaded ‘E10’ which contains 10 per cent ethanol. This is lethal to a classic car fuel system: do not fill up with E10 – you have been warned! In Spain, remember that you have to use your car indicators on motorways, both before and after overtaking – and you can get an on the spot fine if you don’t do it. You must also put your headlights on when driving through a tunnel and can be fined for not so doing. It is illegal to drive dirty car! Drivers must have a towbar and 3 m of rope in their vehicle. Here, a first aid kit is required. And remember, if you have classic car number plates, you must also display the letters 'GB' on the rear of the vehicle. So watch out if aiming your camera at a classic car!